To get there you will drive past the Tedeschi Winery until you think you must have passed it. Then you drive two miles more and there it is, right past the Triple L Ranch sign. You pull into the little gravel parking lot and take the cinder rock trail that leads you up to the small shack where you order at the window. The burger stop was the vision of champion bull rider and rancher Louis Bully DePonte but he never saw it built, having passed back in March. Paige DePonte, his wife, and their children Zachery and Maurissa have built the place and work in it, believing in his dream to sell their own beef burgers on their ranch. Gourmands always talk about terrior in coffee tea and wine, but you never hear about it for beef. Why not? 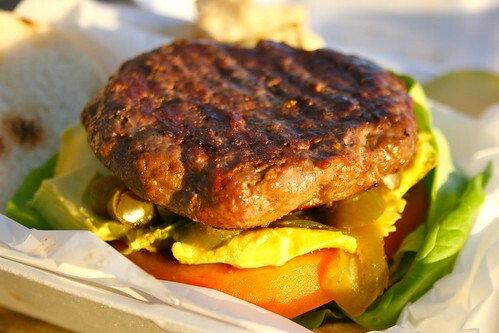 Beef that has grazed has an amazing flavor, which is no doubt infused with the ranch’s climate, geography and geology. Our country’s industrial food production and distribution network, which depends on feeding grain instead of grass to cattle, has sacrificed taste (and health) for economies of scale. 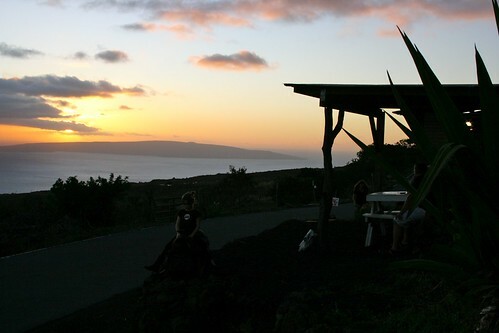 But an hour’s drive to the country will put you in touch with real grass-fed beef, rustic roadside dining and views that include the summits of Mauna Kea and Mauna Loa. 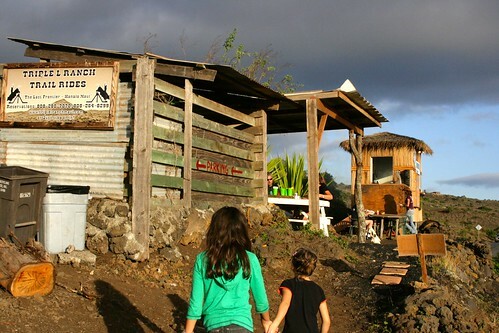 on the big island. 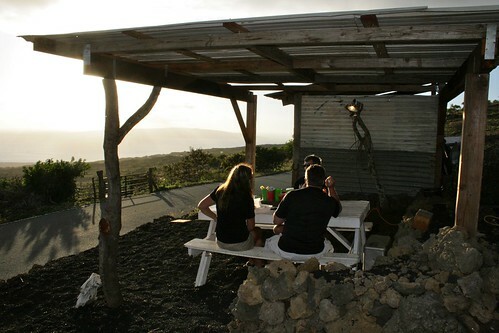 It’s not a huge menu: beef burgers, shave ice, coffee, drinks, chips. 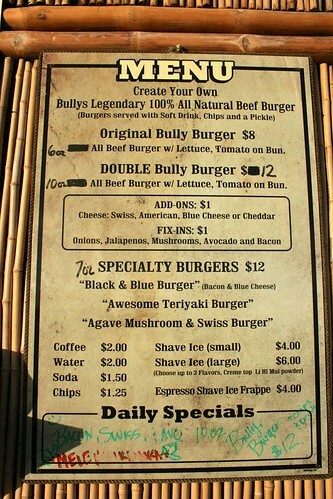 Bully’s Burger is a six-ounce free-range natural beef burger ($8) and you choose the fix-ins. The same goes for the 10-ounce double Bully Burger ($12). Toppings to choose from are sautéed mushrooms, Swiss cheese, American cheese, bleu cheese, teriyaki sauce, sautéed onions, avocado, jalapenos and bacon. The specialty burgers are seven ounces and there are three, the Teriyaki, Black and Blue, and Mushroom Swiss each with their own twist. The burgers are dressed with locally sourced lettuce and tomato and a sesame seed bun. The day I visited it was butter leaf lettuce, which can really hold up with the beef and keep a crisp texture but not get too soggy. I had my Bully Burger with avo and jalapenos. The girls had teriyaki burger, and in a split second there was no more. I didn’t even get a bite. 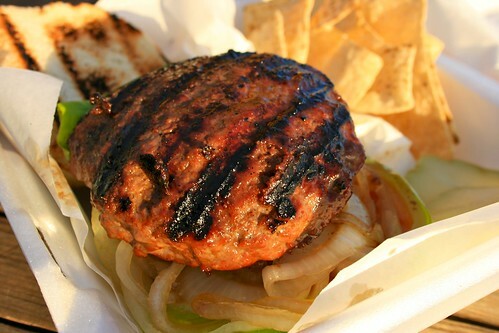 The burgers come with chips and a made on Maui chayote pickle (DePonte says this aids the digestion of beef). The pickle was fresh and crisp. I had to admit this was the best damn burger. The beef really blew me away. In fact, I detected coffee rub, salt and pepper, but when I asked DePonte what she used for seasoning she just giggled. “It’s a secret seasoning, but it’s heart healthy,” she said. “I did my research and wanted to come up with something so I did not have to use salt, and really allows the flavor of this beef to come out.” She also has a special grill that grills the beef but keeps the juices in. 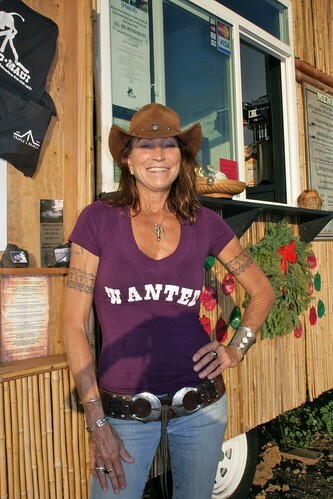 DuPonte lamented that her son Zach and daughter Maurissa were at a rodeo the day we stopped by. Zach is a natural on the grill, an amazing chef and people-person, she said. Maurissa is the behind-the-scenes girl, making it all happen. But that is the other part of the business–rodeo and ranching with the Triple L horses and cattle. On New Years Day, they will hold a dirt bike race to the summit in honor of Bully, who always made a similar ride on the first of the year (the party starts at noon). Sitting under the brightly painted orange sky near the end of the day, we could see the Triple L Ranch cattle grazing down the mountain. 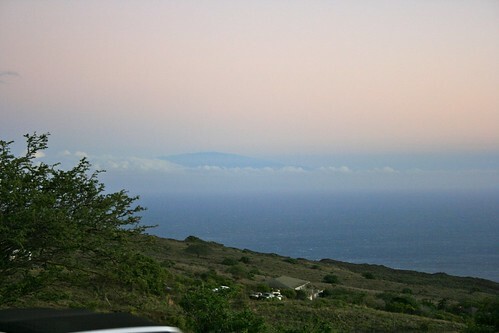 The sun was setting behind Kahoolawe, a view I rarely see. There was no one else around. We sat back for a bit and listened to Big Island radio, played with the mascot pit bulls and enjoyed li hing mui and strawberry shave ice for dessert. As the sun set and the shop closed, we said our sad goodbyes and promised to visit again soon to put another notch in the Bully Burger punch card (your 10th burger is free). DePonte hopes to eventually add solar lights, milkshakes, smoothies, steaks and other fresh beef. Until they do that, I’ll be perfectly content with their burgers. You can get their fresh Triple L Ranch beef online at http://shop.triplelranchmaui.com/40Lb-Assorted-Cuts-Beef-Assorted.htm). 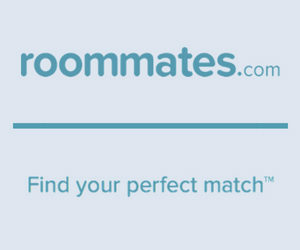 Or check their craigslist at http://honolulu.craigslist.org/mau/grd/2751041859.html. Everytime we hunt the east side, we stop by and chow on some Bully Burgers!!! So good, I aleays eat 2!! If you’re ever in the upcountry area and looking for the best burger hands down, go check them out!! You’re not goin to be dissapointed!! DAS FO SHUA!!!! Thanks Kurt, that is awesome. They are the most disappearing burgers aren’t they! The best flavor, from right there in Kanaio.